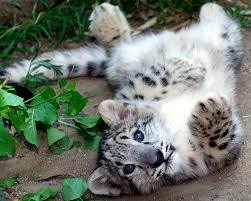 Why is this little Snow Leopard happy? Well, it's bepaws it's a 'Snow Leopard' Saturday. Today we bring you Snow Leopard news. Some bad but with a paws-itve spin. Take a 'paws' and check out these 3 stories.